Hello, my pretty flower piggies! 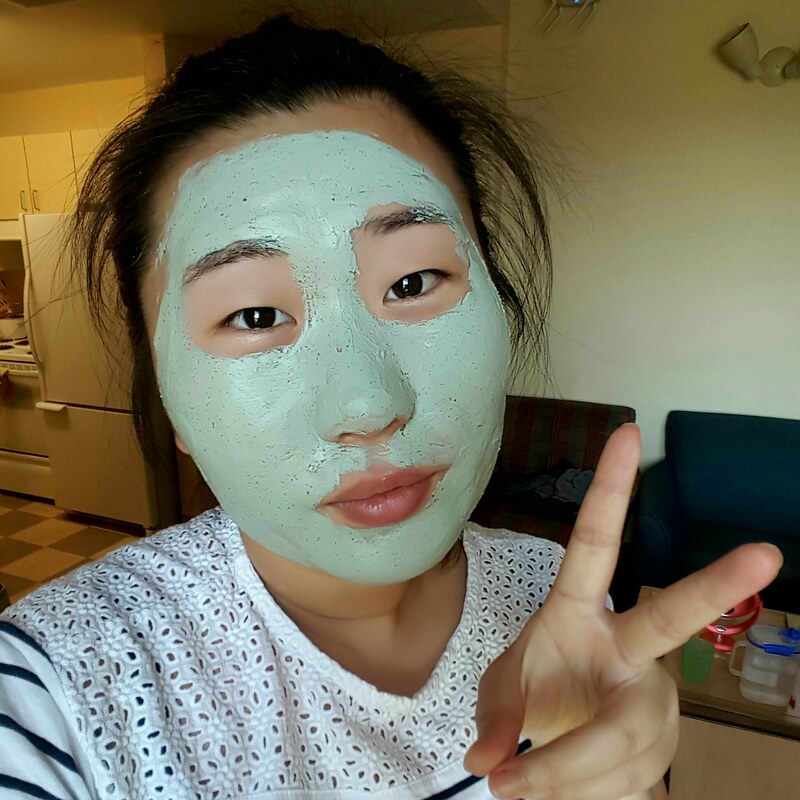 Happy Face Mask Friday! 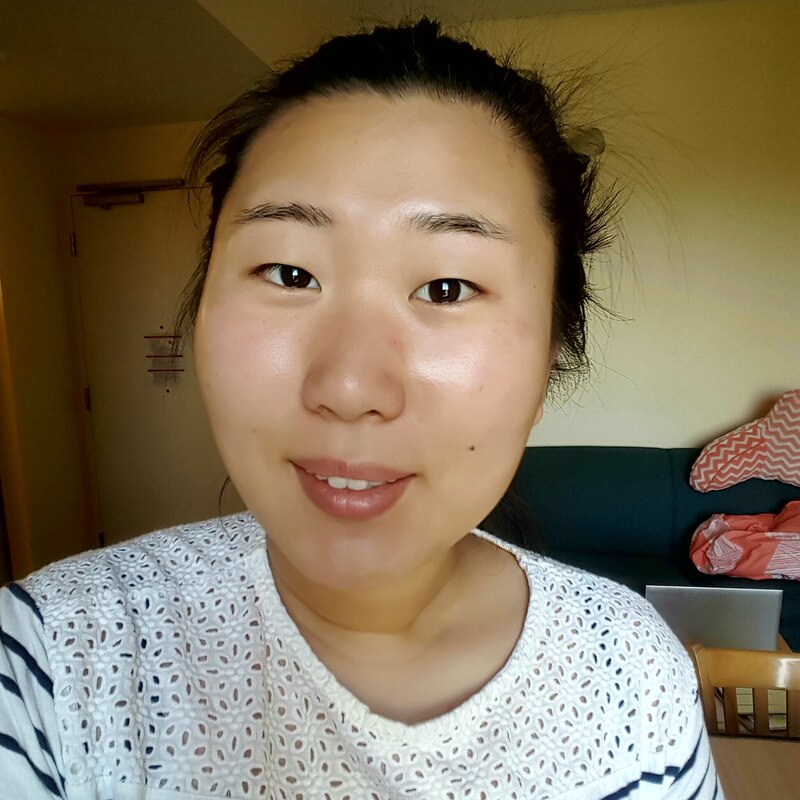 I am taking my ID picture for Yonsei University today, so what better day than to share a review of (spoiler) my all-time favorite face mask? My favorite face mask is the Dr. 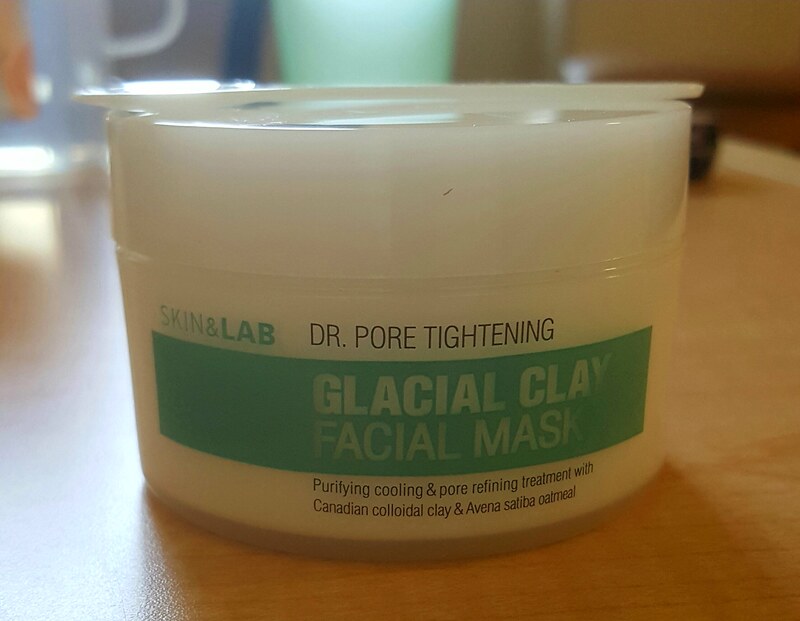 Pore Tightening Glacial Clay Facial Mask by Skin&Lab. The name is very fitting because the mask shrinks my pores a lot. Even with one use, you can see an immediate result. The mask comes with a little spoon. 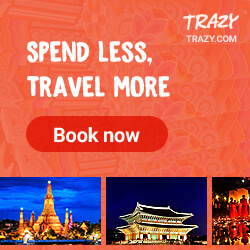 It’s great for scooping out the product and also spreading it across the face. 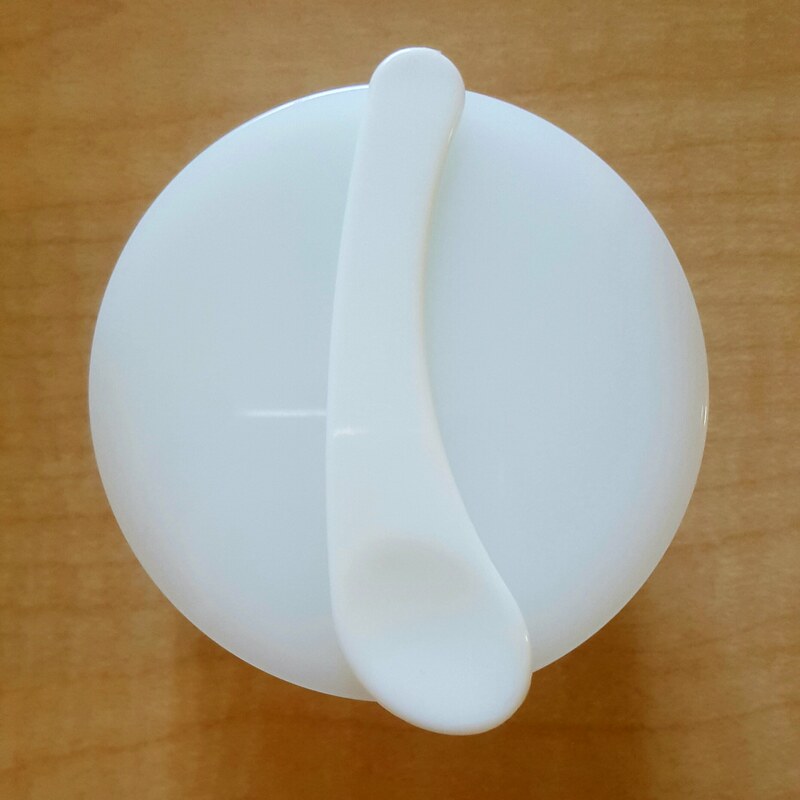 The length of the spoon makes it easy to hold, but the only part that may be uncomfortable is that it doesn’t fit inside the main container. There is an inside lid with a small pull tab. 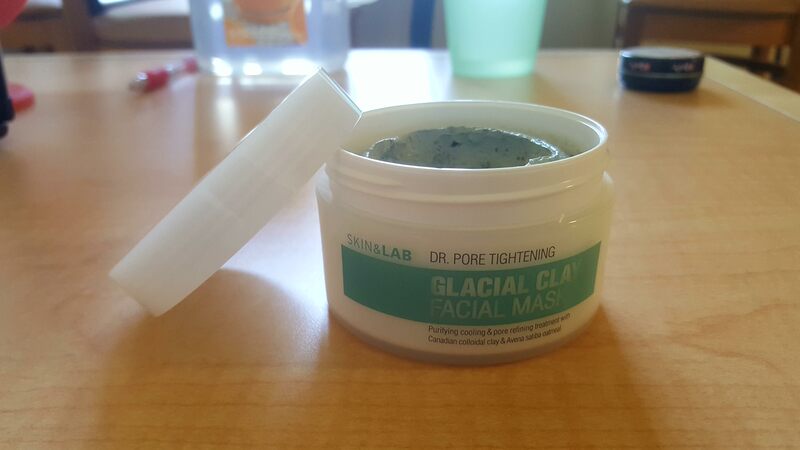 Proven to tackle the causes of pores and excess sebum secretion, GLACIAL CLAY FACIAL MASK purifies the skin, as well as minimizes the enlarged pores and firms the sagging pore walls. Canadian colloidal clay(30,000ppm) removes toxins and impurities in pores, Avena satiba oatmeal eliminates surface debris and moisturizes; the two together work to treat potential problematic conditions. Enjoy glacial-night for beautifully awakened look of you, next morning! Here is the mask in all its glory. It is slate colored with lots of small flecks. 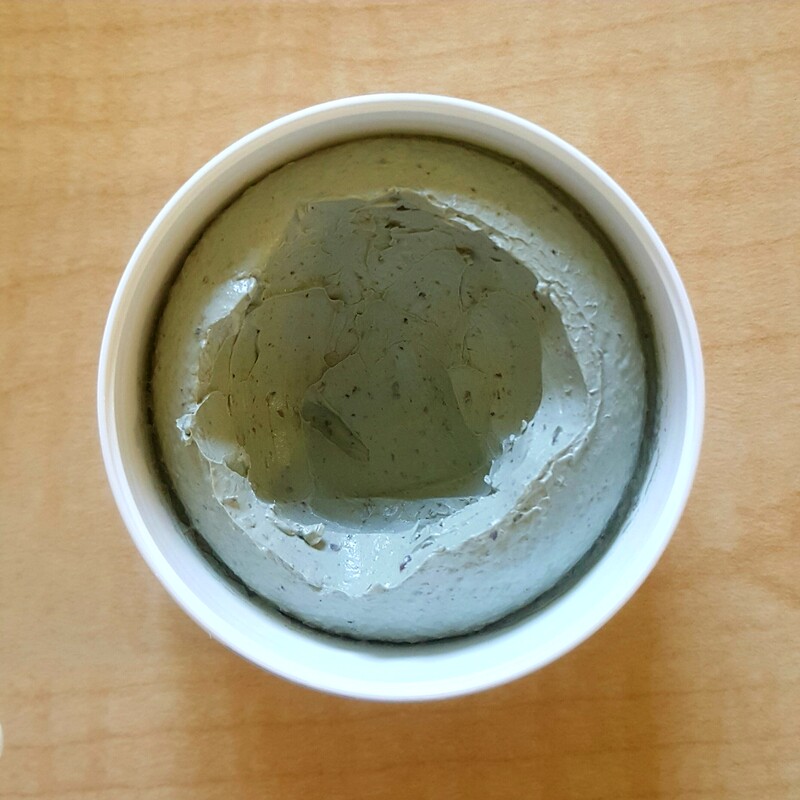 The mask has an herbal scent that is reminiscent of oriental medicine. Those sensitive to scents may not enjoy this, but that’s how you know it’s full of the good stuff. 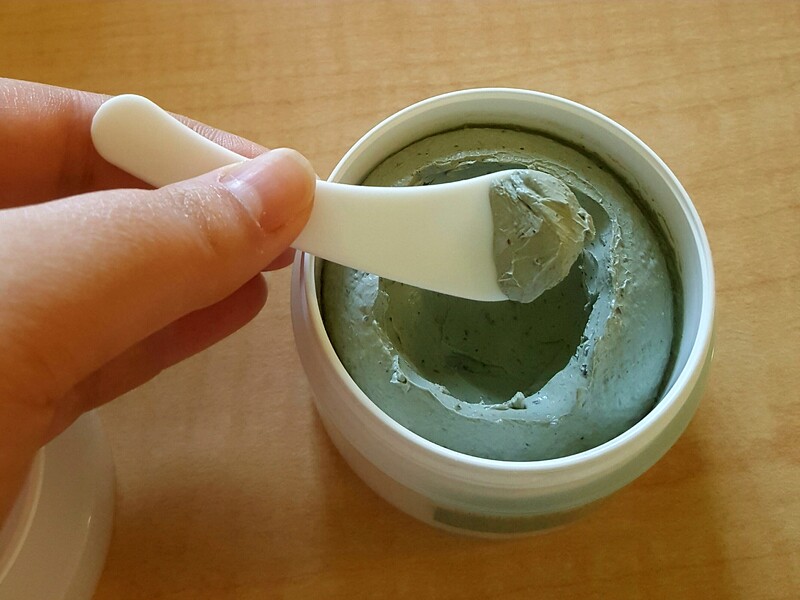 The mask is very soft and easy to scoop out. Here is my skin before the mask. There are a lot of red spots and bumps. For some reason, my skin always acts up right before I have a special event or have to get my picture taken. Does that happen to anyone else? 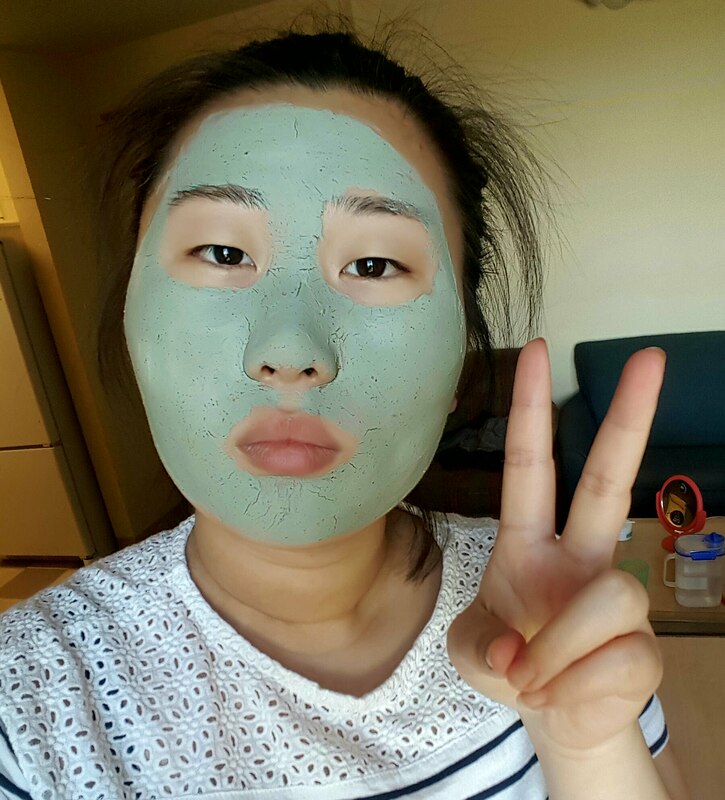 As you can see, I have large pores, but that’s okay because this mask will take care of them. 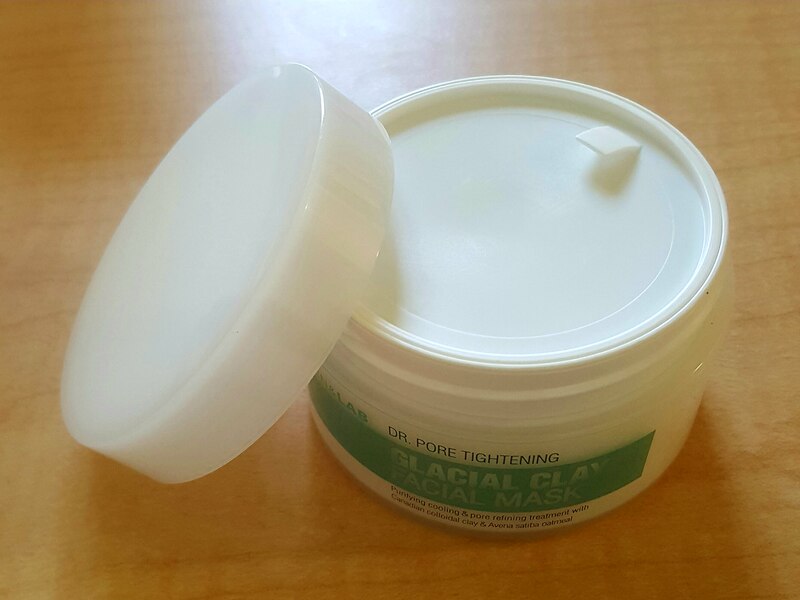 Apply enough amount of the mask over your face after toning. Avoid direct eye areas. Leave it for 10-15 to dry. Rinse it off with clean water, followed by thorough toning & moisturizing. Can be also used partially on problematic areas with excessive sebum secretion. Here is the mask after it has completely dried. I did leave it on longer than the recommended time because I was too absorbed into a television show I was watching, which is why there are cracks in the mask. After the mask has been washed off, radiant skin is revealed. 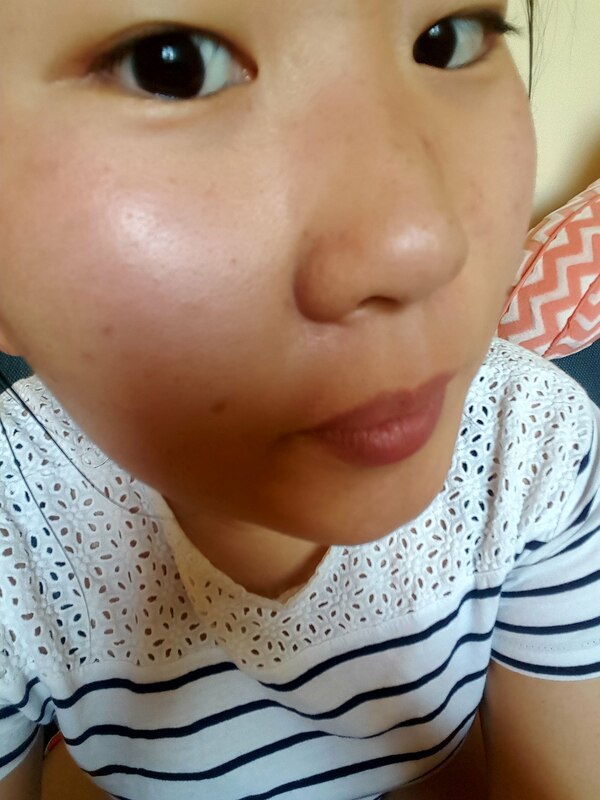 My skin is brighter and feels cleaner. From the closeup, you can see that my pores are incredibly smaller than before the mask. 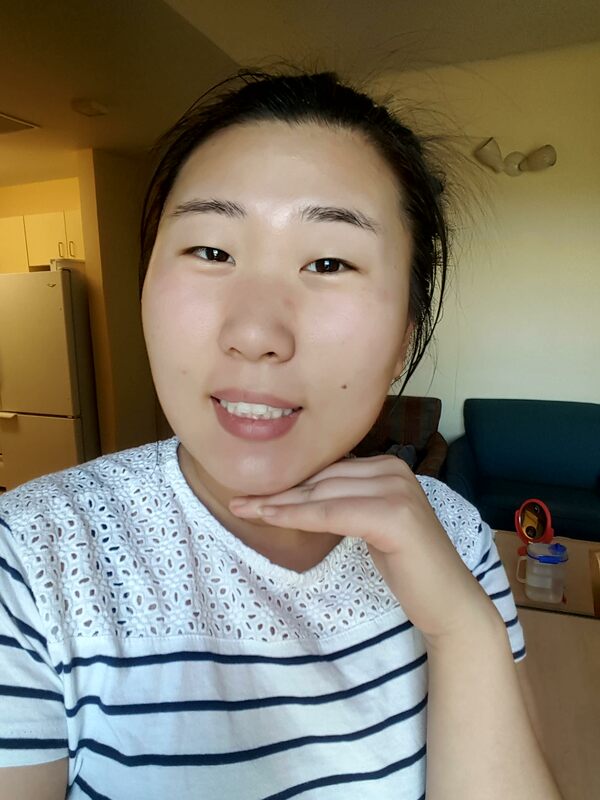 Considering that my skin was pretty bad before the mask, it definitely improved my skin a lot. If it came down to using only one mask for the rest of my life, I think it would be this one, at least from the masks that I have tried so far. The results are instantly visible and the product leaves my pores feeling clean. I save this product for special occasions, but I’m sure if I used this every day my skin would be nearly flawless. What do you think? Would you try this product out? It’s my favorite!